PLEASE NOTE: YOU MUST REGISTER, VERIFY REGISTRATION VIA EMAIL (DON'T FORGET TO CHECK YOUR JUNK MAIL) AND ADD YOUR CREDIT CARD BEFORE PLACING YOUR BIDS. Door Prizes will be awarded to everyone who bids! Doggie of the Day is committed to donating leashes, collars, toys and blankets with nearly every purchase made on their website. They have teamed up with over 1000 charities across America to support with much needed doggie products. DVDPA, Inc. is Non-Profit 501(c)(3) Doberman Rescue made up of volunteers. 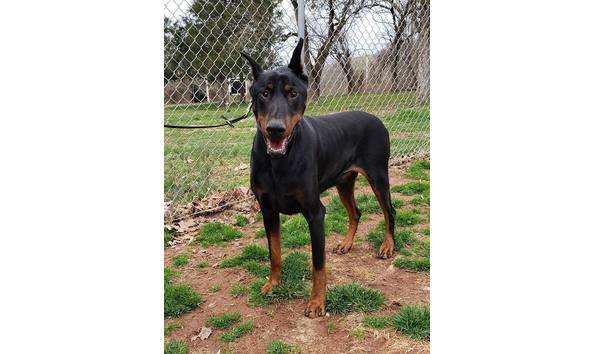 We rescue and assist Dobermans in Pennsylvania, New Jersey, and Delaware.